Educational doesn’t mean boring; it can be fun and engaging for parents and children alike. There are many different and wonderful educational opportunities around our city, museums host a variety of enriching programs for learners of all ages. Parents can take their weekend plans a step further by planning their family activities to coordinate with their child’s school curriculum and interests. What better way to tie-in life and learning than by exposing families to all different learning experiences? Many of these local museums also feature special family hours and/or discounts in order to make their facilities and exhibits accessible for all. Since 1922, the Houston Zoo has hosted exciting animals or all shapes and sizes. The zoo features 800+ different species of exotic animals and so many educational programs for aspiring zoologists or all ages. 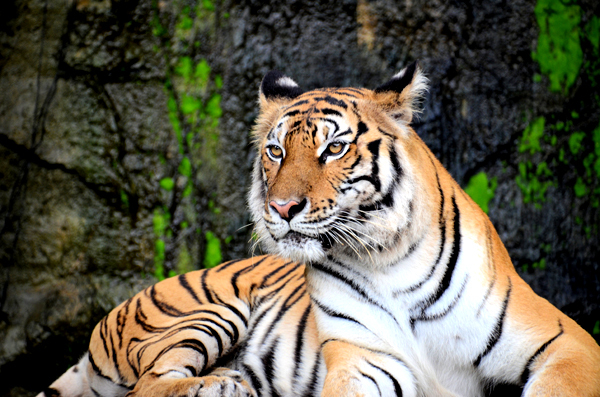 Check out the zoo and learn more about all types of animals, tigers, lions, and bears, and more! The Children’s Museum of Houston is the top-rated children’s museum, not just in the state, but in the whole U.S.! Families in Houston can enjoy this innovative and whimsical museum with more than ten different permanent exhibits, as well as special limited-time featured exhibits. Take advantage of Free Family Nights, offered each Thursday, 5 pm to 8 pm. The Houston Museum of Natural Science includes a planetarium, an impressive theatre, and a beautiful butterfly center. There are many different permanent and visiting exhibits. Families, when you plan your visit, keep in mind that the permanent exhibits are free to all on special hours on Thursdays and Thursdays, during the summer and specific holidays. Offering a variety of multi-sensory and ever-changing exhibits, the Health Museum is an affiliate of the Smithsonian Institute. Families can learn so much about the body and what makes us tick. From a larger than life walk-in eyeball, a bike riding skeleton, and a one-of-a-kind “Scream Booth”, everyone can enjoy the hands-on exhibits offered at this unique science museum. Take learning to the highest heights at the number one attractions for visitors from all over the world. Learn more about America’s spaceflight program through many exhibits and 400+ space artifacts. This must-see space museum features a special NASA Tram Tour that offers visitors an unfiltered look at space exploration. From up in the sky at Space Center Houston to deep down in the world’s oceans, families can enjoy the underseas learning adventures in the Downtown Aquarium’s 500,000-gallon complex. Check out a cool shipwreck exhibit and explore the bayous of the Gulf Coast. There is also an on-site restaurant, encouraging families to make a whole day of exploring everything the aquarium has to offer. Whichever of Houston’s amazing, innovative educational experiences interests the kids in your family, you are sure to have an enlightening afternoon of learning and fun. Take your learning adventures a step further and create a museum bucket list, check off your museum trips and learn as much as you can without needing to leave Houston.